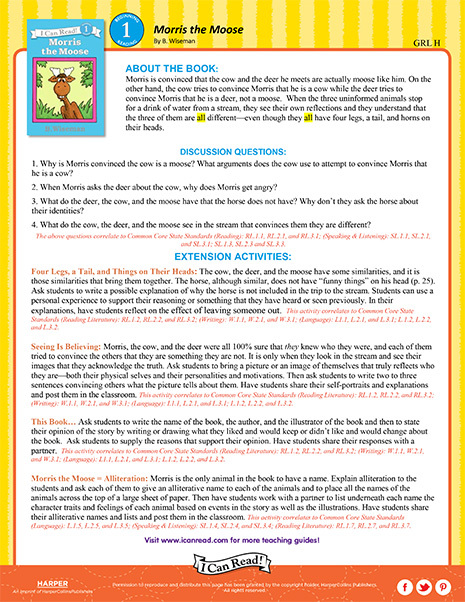 Download a free Teacher’s Guide for Morris the Moose, a Level 1 I Can Read! book by B. Wiseman! 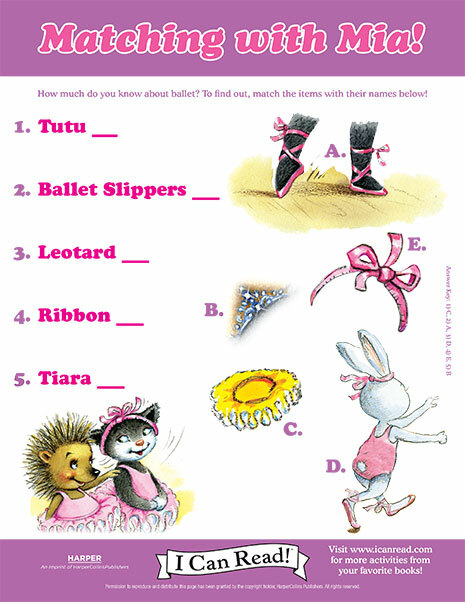 Download a free Teacher’s Guide for Pinkalicious: School Rules!, a Level 1 I Can Read! 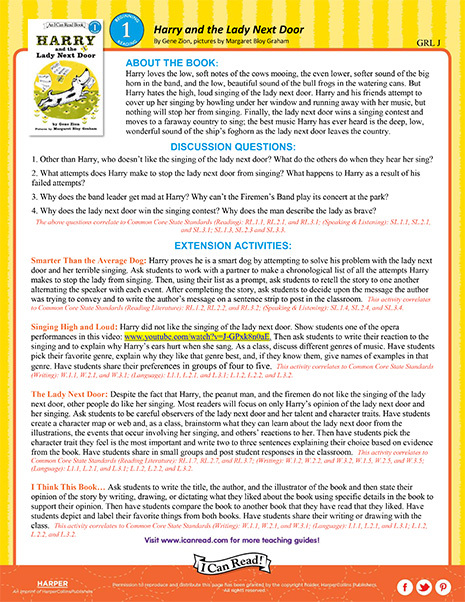 book by Victoria Kann! 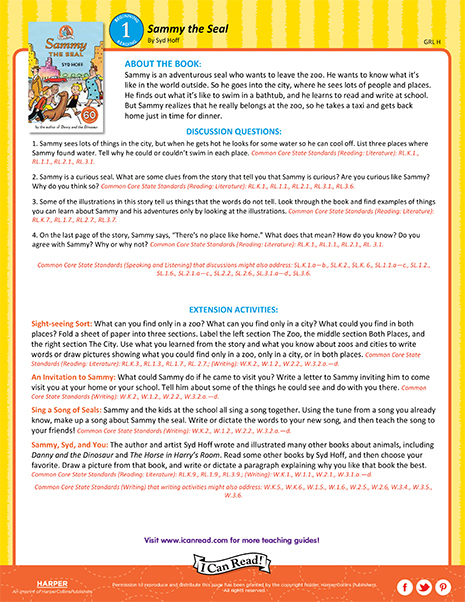 Download a free Teacher’s Guide for Sammy the Seal, a Level 1 I Can Read! book by Syd Hoff!